Our company was founded by Mr. Antonio Pelegrín Martínez, and today, with more than 50 years of experience, is undoubtedly one of the most important Spanish companies as far as marketing of lemon and grapefruit is concerned, focusing its activity both nationally and internationally. It owes its relevance in the sector to its capacity to supply products to its customers during 365 days of the year with domestic production and imports. We count with modern and extensive facilities. In addition, we also have all the necessary means to overcome the expectations set regarding our production and adapt to the constant changes that the sector requires. The main goal for Frutas Apemar is, after selecting the natural raw materials at their point of origin and maturity, to make a good product, which is the result of a process where the main enemy is the hurry because there is a risk of converting it exquisite in common. The commitment of Frutas Apemar is to guarantee a personalized service to its customers throughout the year. With an annual production of more than 30,000 tons, and excellent quality and presentation. These guarantees are the fundamental pillars of our work philosophy, which together with our experience provide us with a high degree of fidelity. 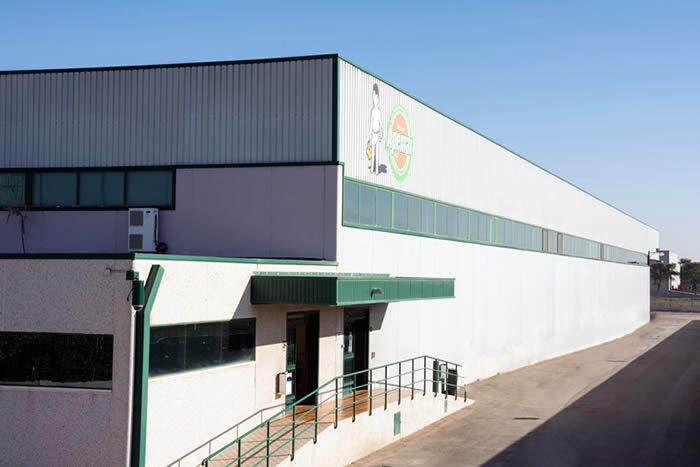 In its unceasing research to satisfy the needs of its customers, Frutas Apemar owns a system of quality based mainly on two points, first having a direct control to our crops (EUREGAP) and second taking an exhaustive control in the selection, packaging, marketing and transport (ISO standards, HAACCF1 BRO) of our products. Thus, Frutas Apemar can guarantee the quality standards from the crop to its final destination. In addition, there is an aspect where we make great efforts and that allows us to combine the entire quality system, it is the TRACEABILITY of the product, which allows us to have access to a complete information about the product and its characteristics, which in the end affects in a better guarantees in terms of food safety, and all of it linked to our quality system.